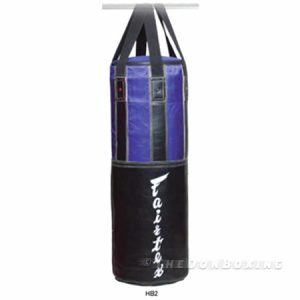 View Cart “Fairtex Bag for angle punching UNFILLED (HB12)” has been added to your cart. 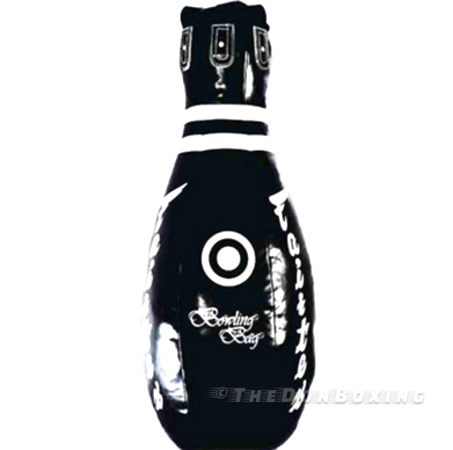 The bowling Pin bag features a tear drop shape to simulate an opponent. 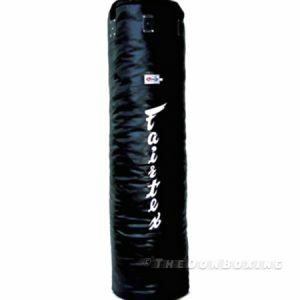 The bowling bag features Fairtex classic design and style for kickboxing and muay thai kicks, punches and knees. 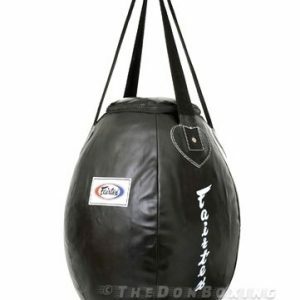 It can be used for low kicking and practicing kicks to the face as well as clinching practice. The Bottleneck would be the neck of human in that case. 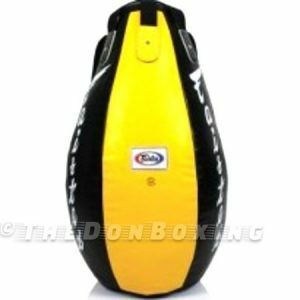 It encourages proper knee-strike training by shifting straps up so that the boxer will not hold onto it during knee striking. Instead he or her will hold the hand around the bottleneck which is the ideal method when striking with the knee. • Manufactured using top quality Syntek Leather. • The bowling bag is shipped unfilled. TheDonBoxing ©2018 All rights reserved.